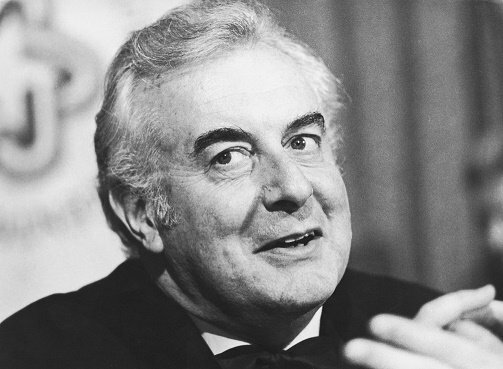 10 seriously commendable Gough Whitlam achievements. 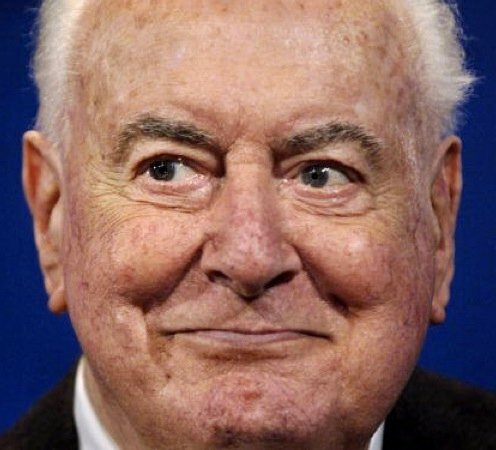 10 ways Australia would be completely different if it weren't for Gough Whitlam. Today Australia is mourning the loss of Gough Whitlam. 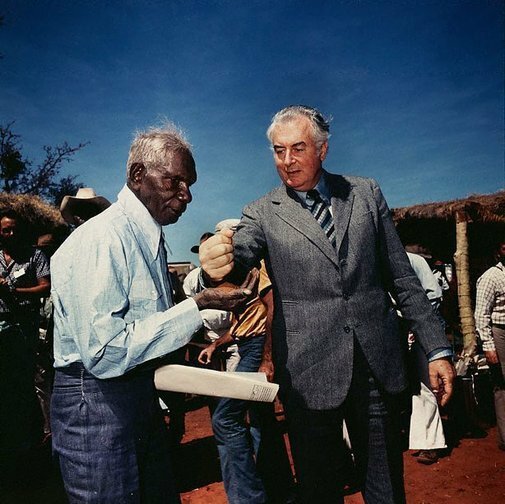 Whitlam was the 21st Prime Minister of our nation between the years of 1972 and 1975, but in those three years the changes he made in this time have changed our nation forever — and for the better. 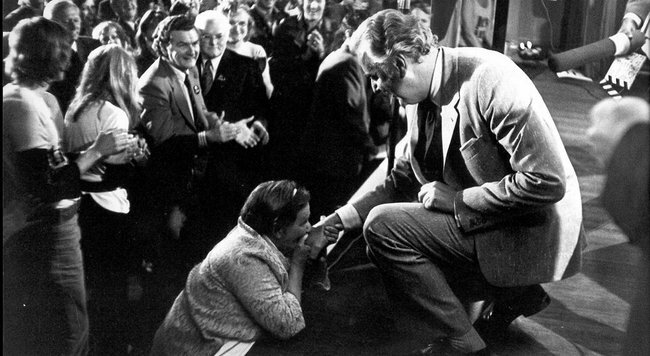 Whitlam was someone against discrimination, and a champion for equality. Someone who valued education, and respected the traditional owners of our land. A man willing to stand by his convictions to ensure Australia remained a great nation in both the short and long-term. 1. Abolished the White Australia Policy and passed the Racial Discrimination Act, ushering in a new era of multiculturalism for Australia. 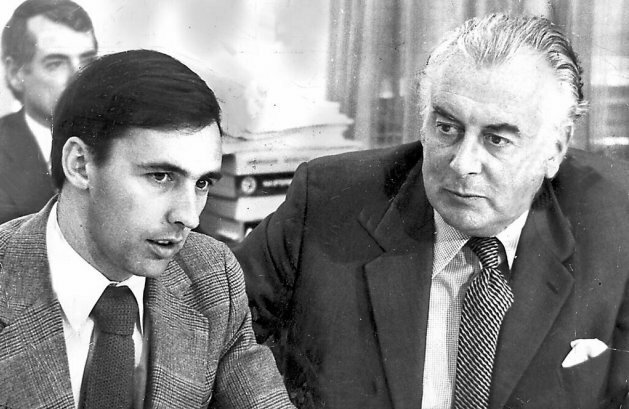 Gough Whitlam with Paul Keating. 2. Made The Pill affordable and accessible, by removing the tax on contraceptives. 3. Implemented free higher education, making hundreds and thousands of Australians the first in their family able to go to university. 4. Legislated for no-fault divorce, so women could chose to leave an unhappy marriage without being financially burdened. 5. Helped Australia become more civilised and humanitarian in its law-making by abolishing conscription and the death penalty. 6. Introduced Medicare to allow universal healthcare for all Australians. Without this historic reform 1 in 5 Australians would be unable to afford basic access to GPs or hospitals. 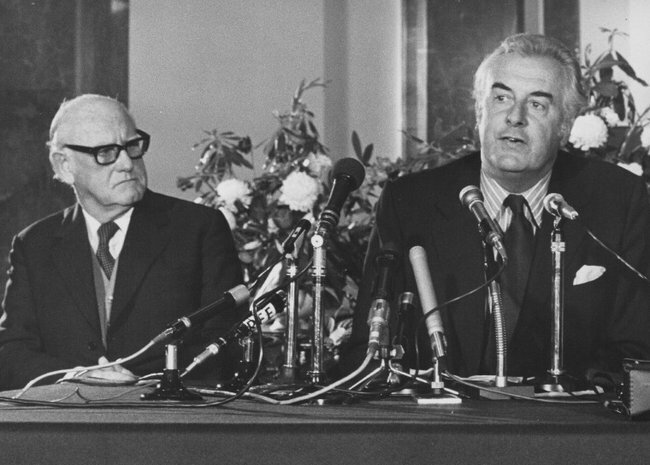 Australian High Commission John Armstrong and Australian Prime Minister Gough Whitlam during a press conference in 1973. 7. Championed Aboriginal land rights, returning land to the Gurindiji people of the Northern Territory. He was also known for involving Australia’s Aboriginal people directly in policy making and establishing free Aboriginal legal services. 8. He reopened the equal pay case, championing the rights of women to work and be fairly compensated. 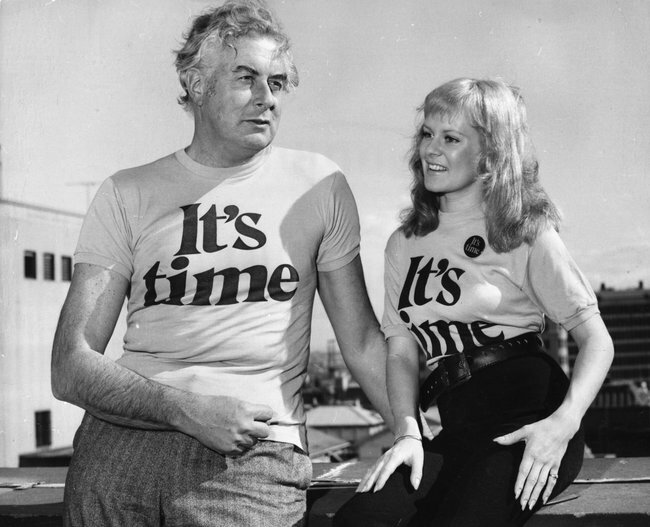 Gough Whitlam with singer Little Pattie, wearing t-shirts announcing ‘It’s Time’, for his Labour election campaign in July 1972. 9. He was the first Western leader to visit China and make his nation’s relationship with Asia a priority. This decision and those which flowed from it have been responsible for much of Australia’s economic and trade prosperity in the years since. 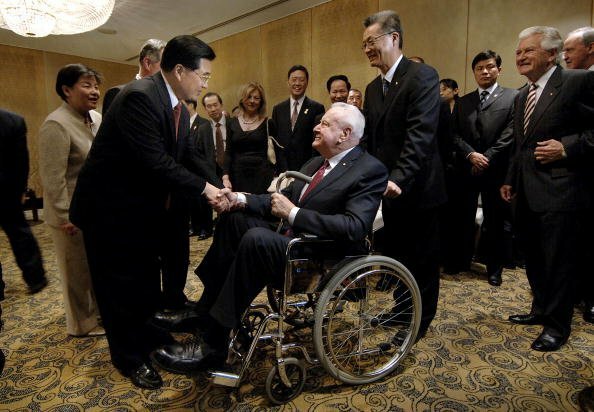 Hu Jintao, China’s president, left, greets 90 year old Gough Whitlam. 10. Whitlam established the National Gallery in Canberra, doubled funding to the arts, introduced legislation to form the SBS, and created the Australia Council for the Arts. “Our father, Gough Whitlam, has died this morning at the age of 98,” Mr Whitlam’s family said in a statement this morning. Vale, Gough. The legacy you left us all will certainly never be forgotten. Gough Whitlam and his wife Margaret Whitlam attend a Melbourne Cup Lunch in 2001. Prime Minister Whitlam Gough with his family who are meeting for the first time in ten years in London, 1973. 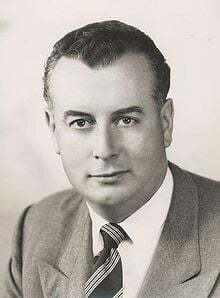 Politician Gough Whitlam in 1970. Gough Whitlam during his book launch in Melbourne, 1986. Prime Minister Gough Whitlam listens as Secretary David Smith reads the proclamation dissolving both Houses of Parliament in 1975. Hu Jintao, China&apos;s president, left, greets 90 year old former Australian Prime Minister Gough Whitlam in 2007. Gough Whitlam attends a ceremony inducting him and his wife Margaret as the first life-time members of Australia&apos;s Labor Party, 2007. Whitlam Gough with his two year old grandson Alexander during a family reunion in London, 1973. Nick Whitlam, son of Gough Whitlam speaks at The Whitlam Institute, University of Western Sydney in 2012. Gough Whitlam attends the memorial service for his wife, Margaret Whitlam in 2012. Gough Whitlam with singer Little Pattie, wearing t-shirts announcing &apos;It&apos;s Time&apos;, for his Labour election campaign in July 1972. Gough Whitlam, campaigning for election in December 1972. Former Prime Minister Gough Whitlam arrives at the Sofitel Wentworth Gala Opening Night in 2004. Gough and Margaret celebrate Margaret&apos;s 90th birthday with their children. Gough Whitlam with United Kingdom Prime Minister Edward Heath in1974. 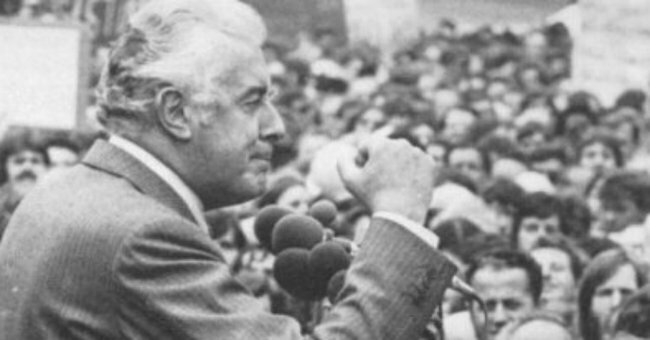 Gough Whitlam at a political rally during the Australian elections in1974. Gough Whitlam in his pilot officer days. Gough Whitlam at the launch of his 1972 campaign. Australia&apos;s constitutional crisis of 1975: Prime Minister Gough Whitlam addresses reporters outside the Parliament building in Canberra after his dismissal by Australia&apos;s Governor-General John Kerr. With his wife Margaret at 30th anniversary of his 1972 election. Federal opposition leader Mark Latham and former Labor prime minister Gough Whitlam embrace at the Labor Party campaign launch in 2004. Australian Prime Minister Kevin Rudd congratulates former prime minister Gough Whitlam during the launch of his biography in 2008. Gough Whitlam in wheelchair at the funeral of his wife Margaret in 2012. Prime Minister Gough Whitlam and Soviet Premier Aleksei N. Kosygin sign a groundbreaking agreement on cultural collaboration in 1975.